A section of the upper River Mun, close to Northrepps, was suffering from chronic pollution.  This had reduced the plant and wildlife diversity in the river, and was a likely cause of the periodic death of fish in a downstream lake – known as ‘Little Broad’. Following inspection, it was found that the nutrients were coming from a Sewage Treatment Works upstream, causing eutrophication. Eutrophication is the extreme growth of algal blooms due to excessive nutrient enrichment. The blooms prevent sunlight from reaching other plants and this causes them to die. Consequently, this depletes the availability of dissolved oxygen within the water, and can lead to mortality in fish and other aquatic organisms. To address this problem, a pilot ‘integrated constructed wetland’ was created alongside the Mun, as it runs through Templewood Estate. Three shallow ‘pools’ were dug and filled with 18,000 emergent aquatic plants, with the help of 30 willing volunteers from neighbouring villages. The effluent pipe from Northrepps Sewage Treatment Works, which was only 250m away, was diverted to pass through the wetland. As the water moves through each pool, the plants and silt naturally remove and filter the phosphates. The water is released from the last pool to the river, in a clear and clean state. Early monitoring results have shown that the new wetland is removing about 90% of the phosphates, which would have otherwise been directly released to the river. As a result, a huge increase in wildlife has been recorded, including a 700% leap in Red and Amber-listed protected birds, and 16 species of dragonfly have been spotted.  This scheme is the result of a partnership between the Norfolk Rivers Trust (NRT) and the kind generosity of a landowner, former ITV producer Eddie Anderson, who was prepared to sacrifice an area of river. This project was featured in the EDP.